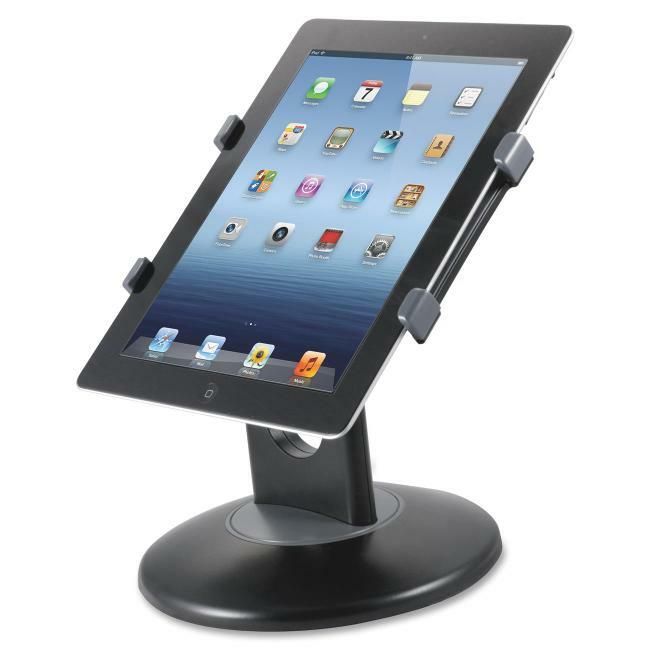 Tablet stand provides easy, hands-free access to your tablet. Rotate, angle, and swivel your tablet for optimum viewing in landscape of portrait position. Weighted swivel base provides excellent support. Easily attach and remove tablet. Tablet stand is designed for 7" to 10" tablets. Stand is made from durable, ABS plastic.